Prepare to accept history's greatest challenge - build the world's most powerful empire over a span of 6,300 years, reaching from primitive history to the future realms of science-fiction. Take your place beside history's greatest leaders as you master the intricate strategies of governing, warfare, diplomacy, trade and science. Sow the seeds of an empire as you cultivate a tribe of settlers in 4,000 BC. Hear the cheers of approval as you lead your flourishing society into the future of 2,300 AD. 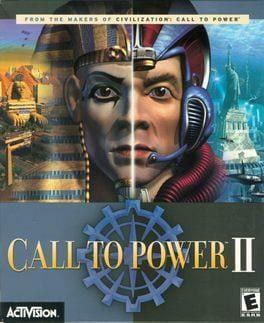 Call to Power II is available from 5.39 to 5.39 from 1 shops.